“Our Christmas story was packaged for us from Hollywood and delivered as a pizza to our pulpits and we served it to our congregants while it was still hot. Yet when you review it; 90 percent of what we say has not been mentioned in the Bible. We have a responsibility to keep the story of Birth of Jesus Holy. Why do we preach on the Christmas day a story that we are told by the World and not read the Bible before us? We tell a story which the business has packaged and made copyright we are to keep it the way it is. This story is the only best selling false bible story in the whole world which its profits do not go to church. This was my facebook message today on Christmas morning. 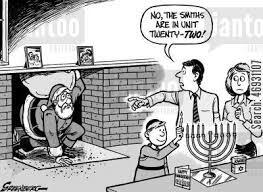 Have you ever thought how Jews and Muslims would react had Santa infiltrated their religion? What is the reason Santa had it so easy to infiltrate such a vital part of our Gospel and be allowed to be its Ambassador? Imagine any of the Holy Days of Jews or Muslims given an extra mythical and highly commercial character like our Santa to represent it. Well Jews and Muslims keep their scriptures holy. The other thing is that they love their doctrine and do not compromise about it. That is why there are not many versions of their scriptures. One more thing; Jews and Muslims are more literate in their scriptures far more than we are in ours. That is why we have allowed Hollywood to be an extra Bible Version which is widely used far more than any version. People who love the Word and read the Bible will know very early that there is something very sinister about the message of the gospel according to Hollywood Santa. I want to share with you the seriousness of the message of the Birth of Christ as I close this installment. Now one third of this Gospel has been given to the Shepherds who watch Flock by night. The Birth of Christ. Maybe you have become too famous to preach a pure doctrine concerning the Birth of Christ; but this is an apostolic and prophetic responsibility to protect this truth. How come did we ask Santa and Hollywood to take over from here? If the message of the previous coming of Christ (His Birth) has been so much commercialized and distorted; what makes you think His Second Coming will not be equally fictionalized and commercialized? What is your responsibility in keeping this message pure? Don’t you think others have become even more distanced from the gospel because of the good job of your friend Santa? 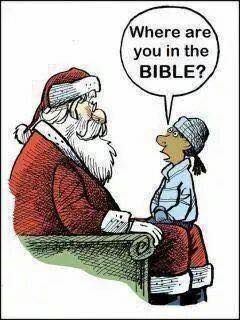 Where is the money that Santa makes in these sermons you allowed him to preach concerning The Birth of Christ? 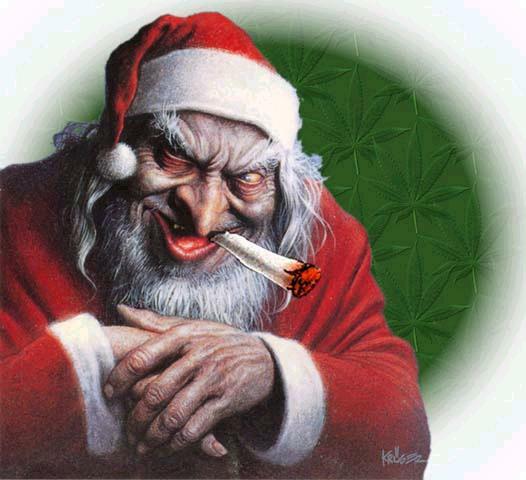 I repent from the ignorance I carried all these years concerning Christmas. I repent from the damage I have caused from allowing this culture to continue as it has done. I return from the posh palaces of Herod and Jerusalem of my ministry. I humbly return to Bethlehem the House of Bread and the Temple of the Seed. I become a Shepherd hidden by the countryside of Bethlehem so that I will receive the pure message of His Birth once again. Micah 5:2 But thou, Beth-lehem Ephratah, though thou be little among the thousands of Judah, yet out of thee shall he come forth unto me that is to be ruler in Israel; whose goings forth have been from of old, from everlasting. The above strategy is how the Santa who stayed in Jerusalem was exposed. Yes you heard me well. I believe we are coming to an age where our gods shall be taken head on. When they are taken on they shall be exposed that they never liked children in the first place but are out to destroy their destinies. From the Greek name ‘Ηρωιδης (Heroides), which probably means “song of the hero” from ‘ηρως (heros) “hero, warrior” combined with ωιδης (oides) “song, ode”. This was the name of several rulers of Judea during the period when it was part of the Roman Empire. This includes Herod the Great, the king who ordered the slaughter of the children in the New Testament. Well Herod is a Doll that every child wanted to have. A song of a hero – that’s one meaning. The spirit behind the name is no different to the name Santa today. This kind of Hero of the media and people is only exposed its true colors when the True King is born. Herod was the media man, the darling of the masses and this include children. But when Jesus touched the earth the true colors of Herod were shown. I bet you the day Father Santa becomes troubled the whole Popular Church Clergy and many parents will be troubled together with him. This will not last of course until he reveals his true colors and kill the children. Santa whom we popularly call Father Christmas will first lose the word Christmas as Second name and become just Father Santa. This popular god of Hollywood who has successfully fictionalized the Birth of Christ into insignificance will yet reveal his true colors and what he has been doing to our children. When he is taken on he shall transfigure and return to his true image. I write these issues to challenge your thinking over this matter and I believe God for a migration in the lives of all Shepherds as they shall move away from the Herod who is posing as Father Santa today.